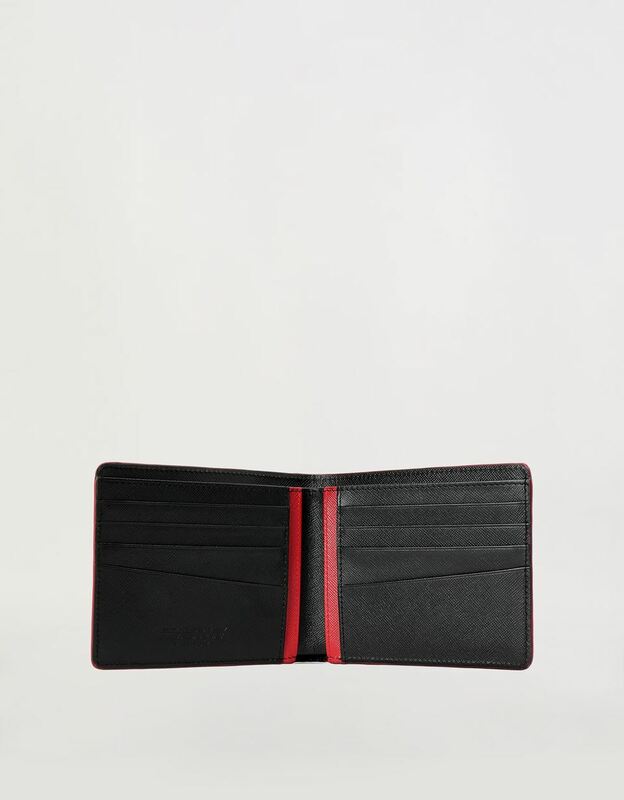 Compact, functional and made entirely in Italy, the horizontal bi-fold wallet adds athletic inspiration and an urban attitude. 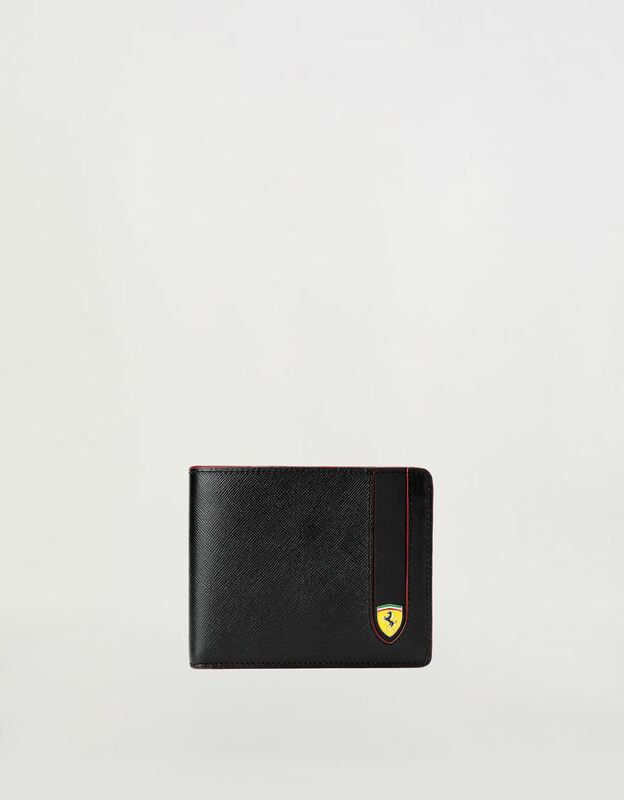 The sleek design of the horizontal Scuderia Ferrari bi-fold wallet is fueled by the contrast between the smooth leather insert featuring the Ferrari Shield and SaffianoSaffiano is a type of leather with an iconic print that offers good resistance to abrasions, water, scratches and stains. Accessories made of Saffiano are therefore practical for use, while maintaining the typical elegance of leather. leather, which makes it highly resistant to scratches, stains and water while adding elegance. It has distinctive visible stitching and laced edges in the same shade of bright red that is a tribute to the Maranello team. 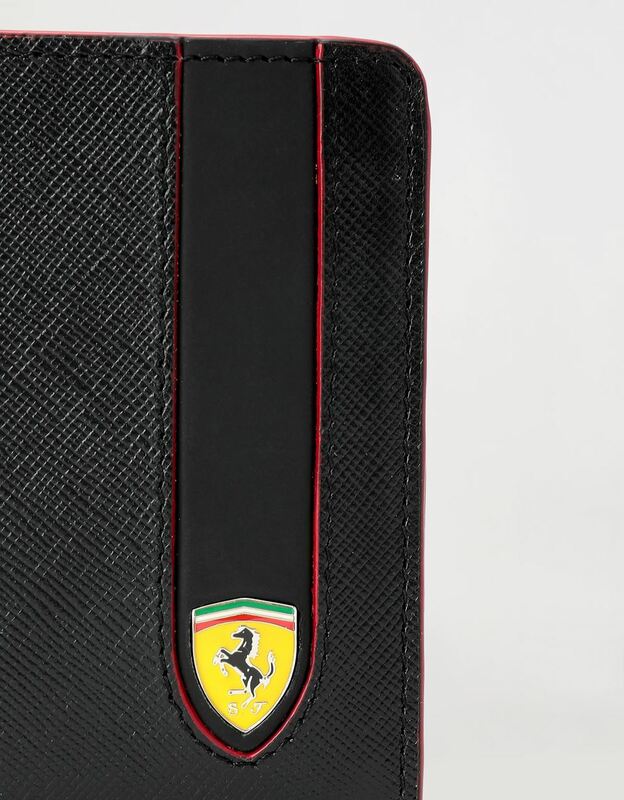 Characterized by the debossed Scuderia Ferrari logo and red inserts, the detailed interior offers two bill compartments and eight credit card slots.